How Often Should I Rotate or Turn my Mattress? We recommend that you rotate your mattress at least once every three months. However, if you can see a slight sag or feel that your mattress isn't offering the comfort that you expect, use your own judgement and rotate your mattress when needed. How often is your mattress being used? Who is sleeping on the mattress? 1. How often is your mattress being used? If you're sleeping on your mattress every night, your mattress will start to sag and lose support faster than if you were using it occasionally. We recommend that you rotate it every three months. If your mattress is only used when guests come to stay, rotating every three months won't be necessary. In this case, you should aim to rotate it every six months. 2. Who is sleeping on the mattress? If you're the only person sleeping on the mattress, chances are you'll sleep on one side and in the same position every night. If you don't rotate your mattress every three months, you may find that one side of your mattress is sagging, reducing the support. If you share your mattress with your partner, it's likely they don't weigh the same as you. They may also sleep in a different position. 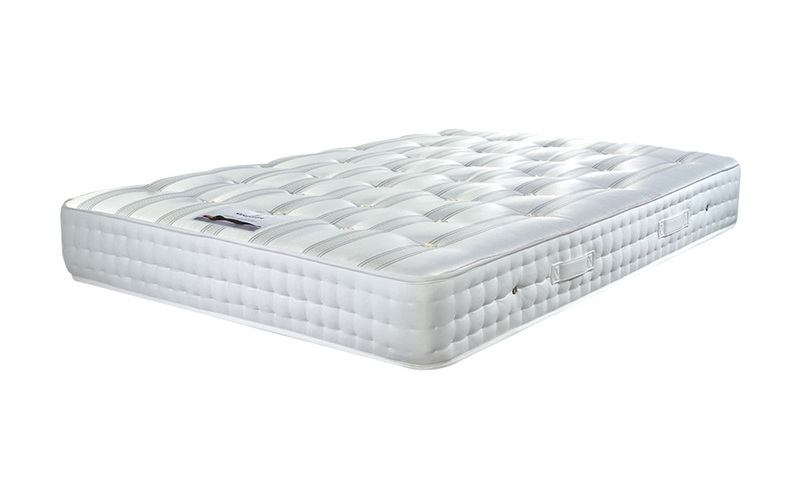 Rotating your mattress ensures a balanced amount of wear on either side. 3. Is your mattress double-sided? If you have a double-sided mattress, you'll need to rotate every three months and flip it over regularly. In contrast, you'll never need to flip over a single-sided mattress. However, you will still need to rotate it every three months. How do you rotate a mattress? Rotating your mattress is quite simple and can usually be completed by one person. Before you rotate your mattress, you first need to remove your bedding and any furniture close to your bed. Then, to rotate your mattress, simply move the head of your mattress to the bottom of your bed, completing one full 180-degree rotation. How do you turn or flip a mattress? You should only ever flip your mattress if the manufacturer states that it is a double-sided mattress. Double-sided mattresses need to be flipped at least twice a year and rotated every three months. Doing this will also rotate your mattress 180 degrees, so you can both rotate and flip it over in one go. Rotating your mattress is necessary to maintain the condition of your mattress so that you can continue to enjoy a comfortable and supportive night's sleep. If you're unsure whether your mattress needs to be flipped or not, please check the label on your mattress. Still can't find the answer? Simply give us a call and we can help! For more help and tips on how to care for and maintain the condition of your mattress, you may find the following mattress advice pages useful: how can I clean my mattress? and when should I change my mattress?